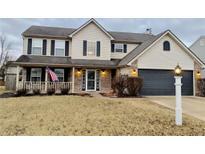 Below you can view all the homes for sale in the Pines Of Avon subdivision located in Avon Indiana. 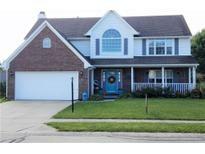 Listings in Pines Of Avon are updated daily from data we receive from the Indianapolis multiple listing service. To learn more about any of these homes or to receive custom notifications when a new property is listed for sale in Pines Of Avon, give us a call at 317-987-2530. Updated Hvac And Appliances Make This Home Move In Ready! Come And See! MLS#21635100. CrestPoint Real Estate. This home also features Open Concept Living w/ Kitchen Island Bar plus Reverse Osmosis Water System, Fireplace, Oak Bookshelves with Window Seat, Custom Coat Rack, upgraded door handles and so much more. MLS#21619544. RE/MAX Ability Plus. Basement & yard barn offer a lot of storage space! MLS#21603096. RE/MAX Centerstone.